JazzMan! with Ravi Coltrane - JazzMan! 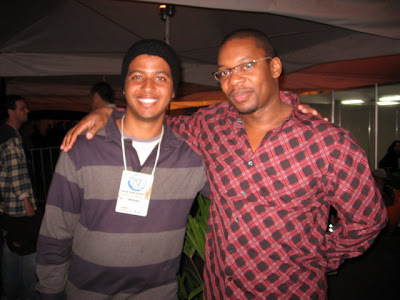 I want to share with you all a magical moment in my life: my meeting with Ravi Coltrane. 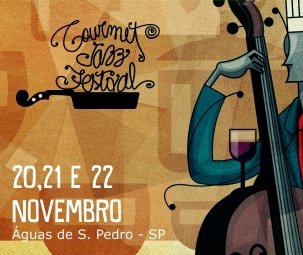 In last day 10/06 (Saturday), Ravi had presented in Rio das Ostras Jazz And Blues Festival. Thanks to my friend Luciano who arranged me the credential, this moment was possible. I had the chance to go to the Hotel where they were the artists, to go in the press area and to have the privilege to attend the show of stage. I want to leave here my gratefulness to the Luciano for having been so generous and friend. Only being in the time for you to understand as it is to be close to this human being of genetics and enormous talent. Ravi has famous last name, but his own talent. He does not load the surplus of the father, but he loads the light and the mission that John transmitted during your life. His Sax echoes love and emotion, virtues of an inspired artist, soon to create and to dream. Ravi, thanks a lot for everything! Fiquei ansioso pra ouvir Coltrane filho. Sensacional! a sua cara de satisfação diz tudo... vc é pura emoção... parabéns por esse raro encontro. Você teria imagens do festival pra postar pra gente? Seria uma boa, hein! Forte abraço! Deve ter sido um grande momento sem dúvida ! parabéns pelo momento e parabe´ns pelo blog sensacional ! I also want to say you are my favorite blog, I have learned about many great Jazz musicains because of your blog. So keep up the great blog and educating more people about Jazz music. O blog continua muito bom, nunca é demais dizer. 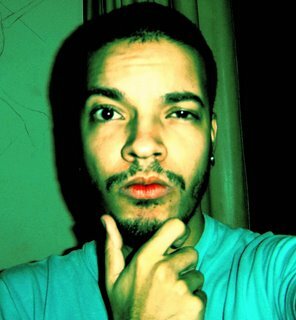 Com certeza é o registro de um encontro inesquecível,movido a emoções que só pessoas sensíveis como você conseguem expressar apenas através do olhar em uma fotografia. A certeza que tenho é que momentos como esse se repetirão infinitas vezes em sua vida. Por tudo que tem feito pela música e por todos nós que a amamos, você merece alçar vôos cada vez mais altos, sempre embalados pelas notas musicais, que serão a sua bússola a lhe indicar a direção a ser tomada.